Enter the states you'd like! You will love showing off these unique map prints to your family and friends! These are the most intricate map prints around. I started with detailed watershed datasets and wrote a custom computer program to chart the locations of every river, stream, and lake. Then, I print using museum-quality ink and heavy matte paper, so these map prints won’t discolor, fade, or wear out with time. The square shape makes these images perfect for gallery walls! My customers tell me they enjoy hanging these prints for each state they've lived in as a reminder of the people and the times they enjoyed there. They serve as a warm reminder of those places, even when you're far away! It’s easy to get your own map prints right now. 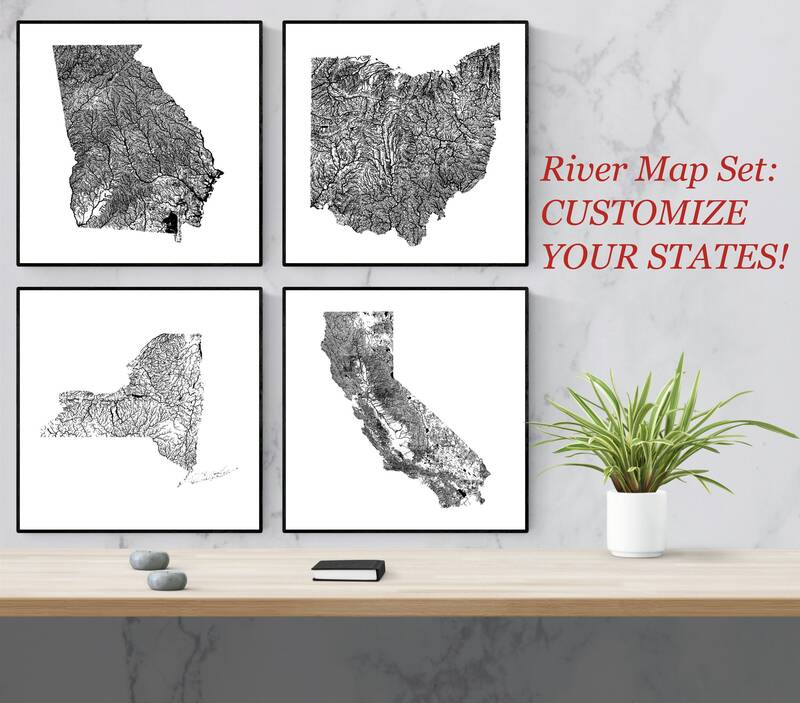 Get one for each state that has a special place in your heart! Choose your number of prints and your size in the drop-down menus. Let me know in the personalization field which states you'd like. Then add to cart and proceed to checkout. You'll get your maps in 6-10 days!